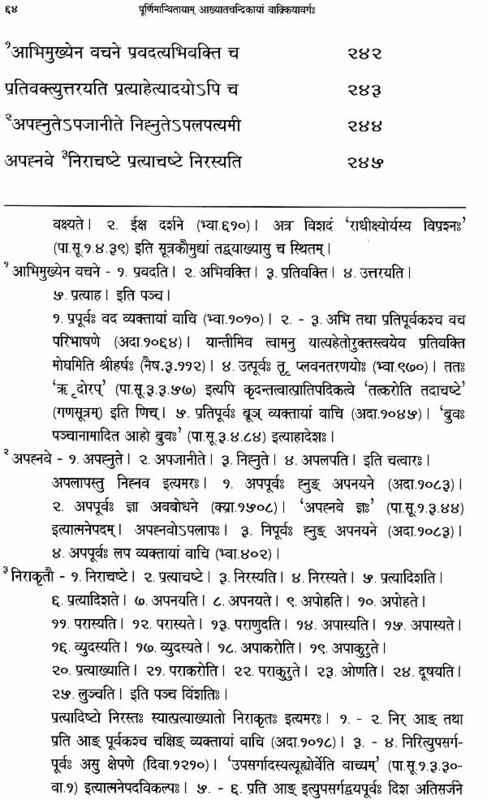 Akhyatachandrika with Purnima Bhattamalla's Akhyatachandrika belongs to the rare genre of lexicons of synonymous Sanskrit verbs written similar to the structure of Amarakosa. 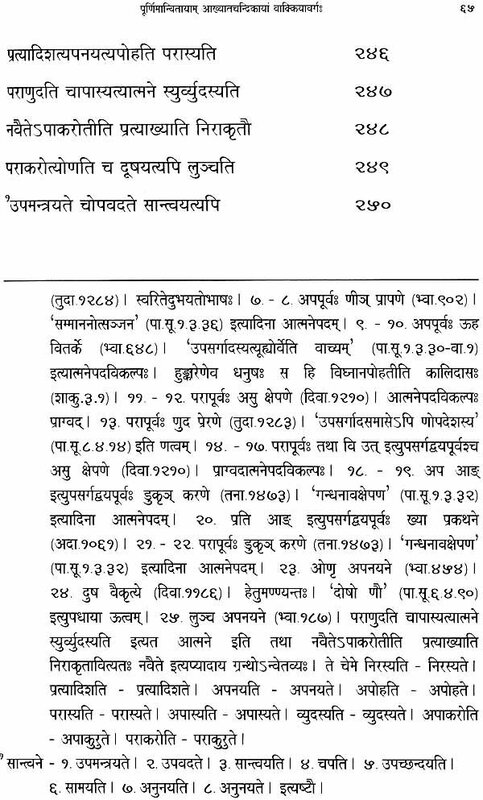 The text has 1114 verses in fourteen chapters covered in three Kandas. 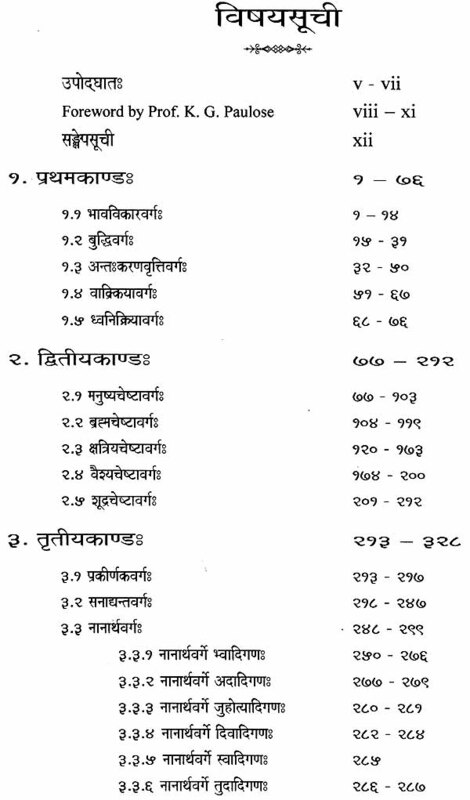 States of existence, intellect, soul, mind, word, sound, activities of human beings in general and priests, warriors, businessmen and workers in particular, miscellaneous, verbs derived of an exclusive group of 12 suffixes called sanadi, nanartha, a chapter consisting of synonymous verbs from each of the ten groups of verbs in Paniniyan dhatupatha including synonymous transitive and intransitive verbs are subject matter of chapters. 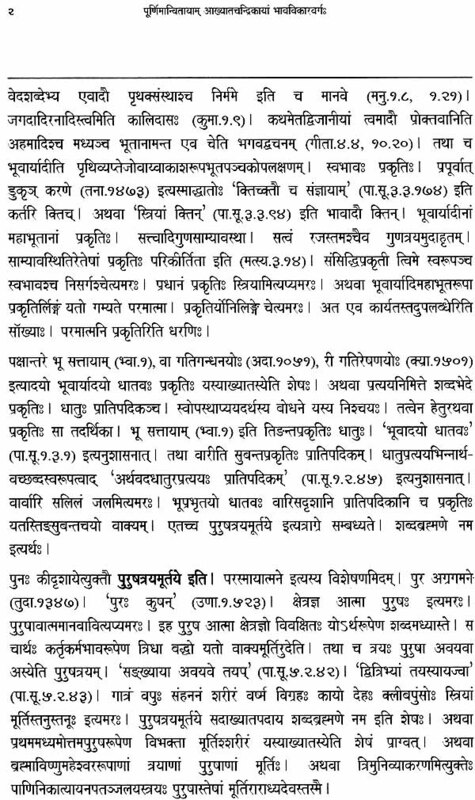 There on is the commentary entitled Purnima of Dr. V. R. Manoj which in letter and spirit completes and complements the Akhyatachandrika. Purnima picks up every word of the Akhyatachandrika and comments on it. Nevertheless words which have no other apparent use than completing the metric style are left unattended to. Every chapter has an introduction wherein different views regarding the subject matter are provided followed by detailed exposition of the verbs. The uses of synonymous verbs have been exemplified from other lexicons and quoting the literature. Derivative history of verbs is provided where ever there is complexity. Reference to every quote is provided in the text itself for ease of access and understanding. 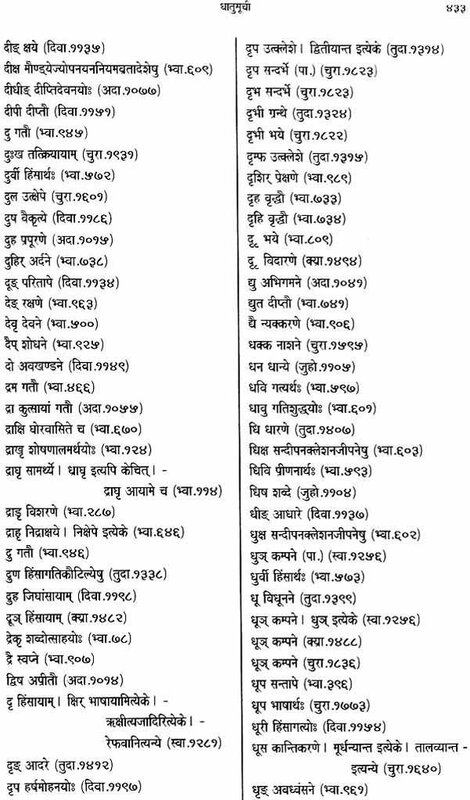 A well researched list of roots pertaining to every entry and meaning that were not included by Bhattamalla is given at the end of every chapter. Verses are continuously numbered for ease of access. 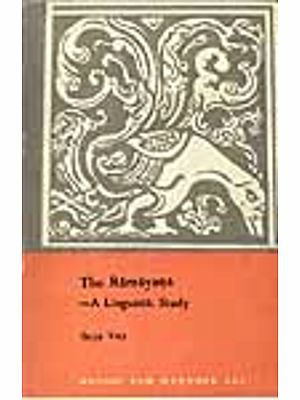 Meanings are given in the locative case and synonymous verbs are in the subjective case, just as in the text and the commentary is complete with extensive indices. Dr. V. R. Manoj is Deputy Director, Chinmaya International Foundation Shodha Sansthan, Adi Sankara Nilayam, Veliyanad, [Emakulam] Kerala. After studying Sanskrit in Sri Ramakrishna Mission at a young age, he took his Master's degree at the Rashtriya Sanskrit Vidyapeetha, Tirupathi (AP), specializing in the Paniniyan system of Sanskrit grammar and obtained a PhD in grammar from Sri Chandrasekharendra Saraswathi Viswa Vidyalaya, Enathur, Kanchipuram (TN). For three years he worked as a lecturer in the same university, and then accepted a visiting faculty assignment for two years in the Department of Humanities and Social Sciences, Indian Institute of Technology Kanpur. Thereafter he worked as the Head, Centre for Sanskrit and Vedic Studies, Bharatiya Vidyabhavan, Puthucode (Kerala). 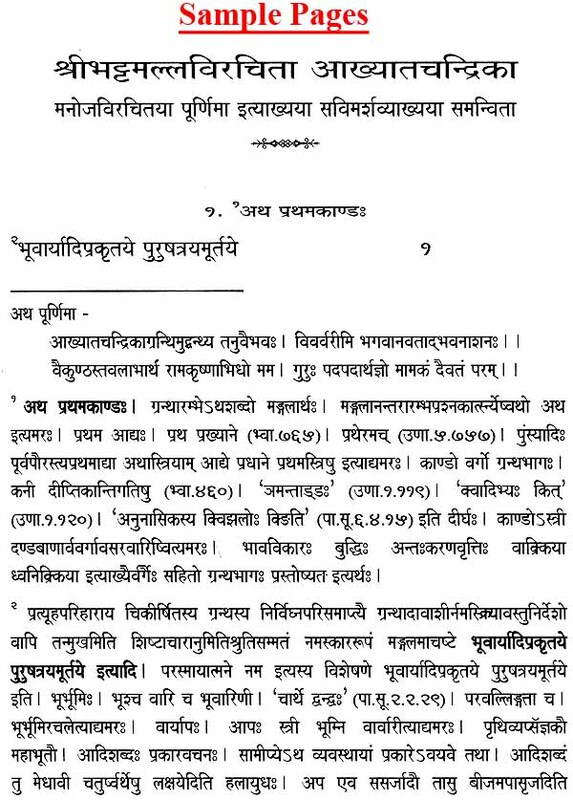 Dr. Manoj's significant contributions include the publication of a large number of research papers in the Sanskrit Grammar and Consortia Sanskrit Academia [CSA], an online project for creating a database of Sanskrit academia that uses Sanskrit language as a direct or secondary source. He is also closely involved with several projects related to the creation of various dictionaries (suffixes, substitutes, augments and verbs). The Chinmaya International Foundation is unique in many respects. The foremost among these is that it functions under the hallow of Sankaracharya in the salubrious atmosphere of his birthplace. Our patron saint Swami Chinmayananda had great dreams when he established this centre, which his able successors strive hard to translate into reality. The present team led by the visionary Swami Advayananda has formulated several innovative programmes to fullfil the desire of the founder. When I was called upon to take up the Chairmanship of the Sodh Sansthan, after my term as Vice-Chancellor in Kerala Kalamandalam I considered it an honour to associate myself with these noble souls. My colleagues in the Managing Committee in its first sitting decided to strengthen the research and publication activities of the institute. I am glad to present to the scholarly world the first fruit of that firm resolve in the form of this classical text which will be followed by many others including Satakoti a rare specimen of ancient wisdom which gives a hundred interpretation to the Arthavad Sutra of Panini. Our research journal also will reach your hands soon. Language is the greatest gift humanity ever had. Dandin rightly pointed out that the world would have sunk into darkness had language, that jyotis, not dispelled it. The science of grammar well protects the structural form of language. Lexicons preserve the world of meaning inherent in it. Luckily for us, our tradition in both is rich. Panini, even in this computer age, is a wonder to human intelligence. 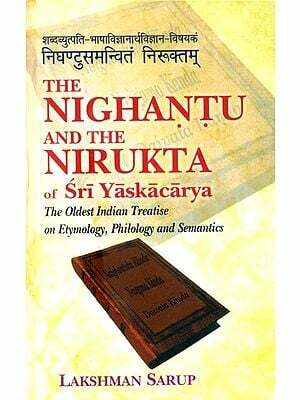 Lexicographers from Yaska to Amarasimha have strengthened our knowledge base. 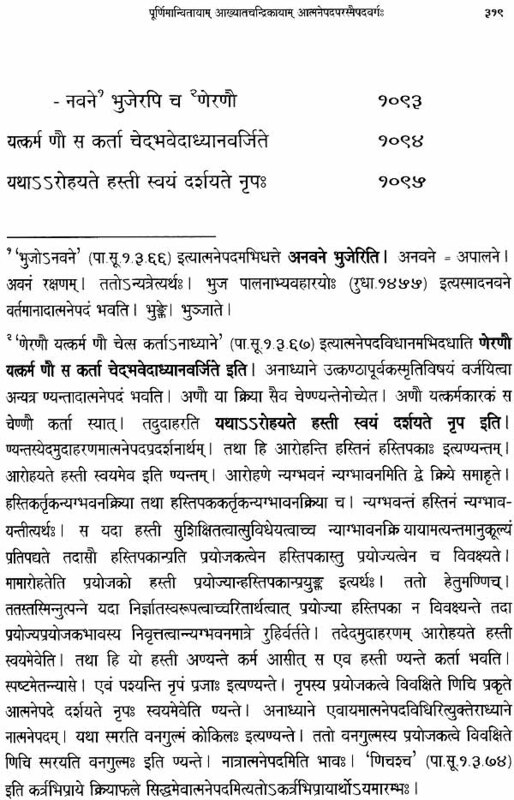 They were primarily concerned about words coming under satvapradhana category. Words, according to our concept, are derived from the roots. Verbal forms, bhavapradhana in themselves, and their formulations are complicated. 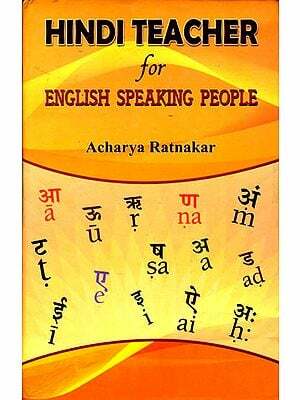 Some of our renowned preceptors Vopadeva, Ghanasyama and Lavanya vijayasuri have contributed excellent lexicons of verbal forms. 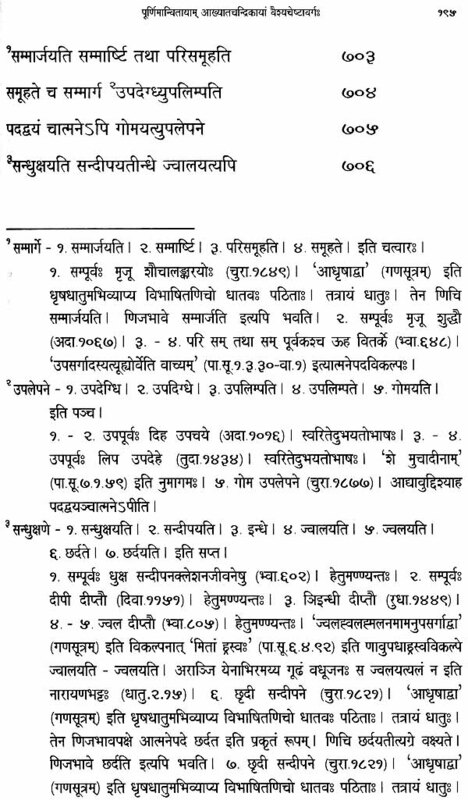 Bhattamalla's Akhyatachandrika, attributed approximately to 11 - 12 centuries of CE, belongs to that rare genre of lexicons of synonymous Sanskrit verbs, structured like Amarakosa or Namalinganusasanam of Amarasimha which is a lexicon of synonymous nouns. 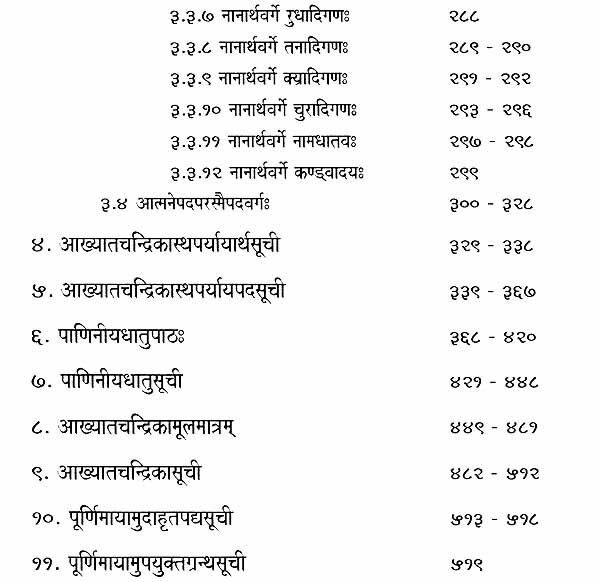 The text of Akhyatachandrika has 1114 verses in fourteen chapters covered in three Kandas. This division is based on the subject matter. 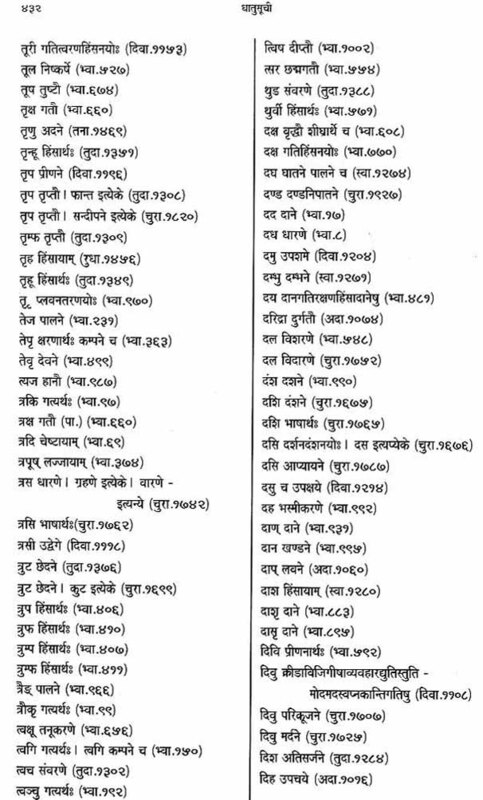 They pertain to states of existence, intellect, soul, mind, word, sound, activities of human beings in general and priests, warriors, businessmen and workers in particular, miscellaneous, verbs derived of an exclusive group of 12 suffixes called sanadi, nanartha,a chapter of synonymous verbs from each of the ten groups of verbs in Paniniyan dhatupatha including synonymous transitive and intransitive verbs. Birth, existence, change, both in the forms of growth and decay and destruction are the states of existence that from the tiny atom to the giant in this sentient world undergo. Synonymous verbs related to these activities are enunciated following the method of general and exception. Although intelligence, ego and mind are said to be antahkarana, intelligence and antahkarana are assigned separate chapters because activities akin only to the intelligence such as experience are vast and varied. The chapter for antahkarana elaborates its activities related to desire, anger, pleasantness, unpleasantness, happiness, sorrow etc. through synonymous verbs. 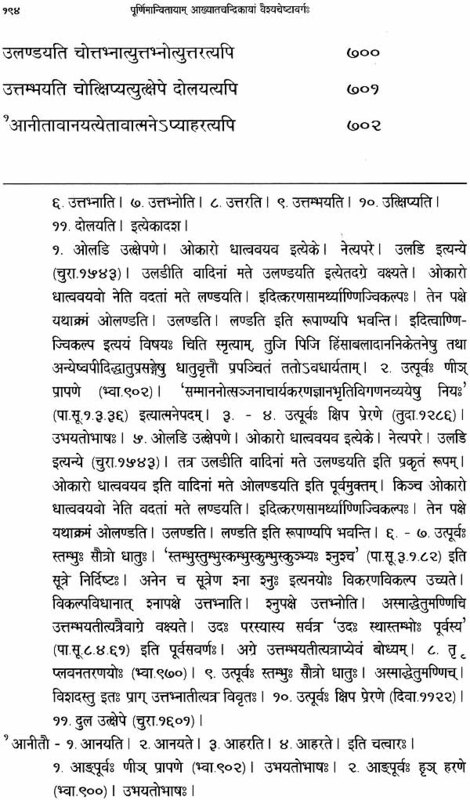 The answer to a presumable question about the exclusion of bahyakarana here is that of the ten types of jnanendriyas and karmendriyas called as bahyakarana are found described either in separate chapters or mentioned in different places in the text. 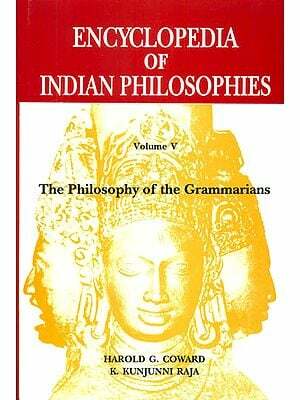 For example, the synonymous verbs meaning sight, touch etc., are mentioned in the chapter entitled budhivarga. Similarly, speech, taking, walking, excreting and finding pleasure etc. 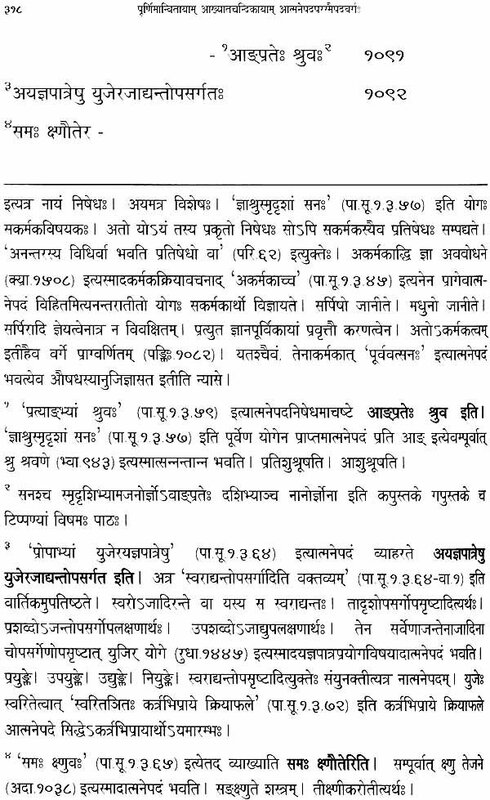 are in the chapter called manushyavarga. in contrary to these, the activities related to antahkarana are subjects of all the three states of consciousness and time. Hence they are in a separate chapter. Then the chapter entitled vak-kriya that has short, long and prolongated forms are in a different chapter which is followed by a chapter for sounds in general. Based on the quality, inherent nature and profession, humans are divided in four classes such as the brahmana, kshatriya, vysya and sudra. Synonymous verbs denoting their actions are presented in these four chapters. There is a chapter for prakeernakas or miscellaneous verbs that could not be put in the ambit of general classification followed by verbs derived of an exclusive group of 12 suffixes called sanadi. A chapter by the name nanartha, consisting of synonymous roots from each of the ten groups of verbs in Paniniyan dhatupatha is followed by the last chapter for synonymous transitive and intransitive verbs. Thus as the name Akhyatachandrika suggests, the book is a moon in full bloom obtained after churning the milky ocean of sounds which is embellished with the mesmerising charm of the commentary entitled Purnima of V. R. Manoj. This completes and complements the Akhyatachandrika.